Well, not quite. The two guys, I later learned, were very adamant about their job title. 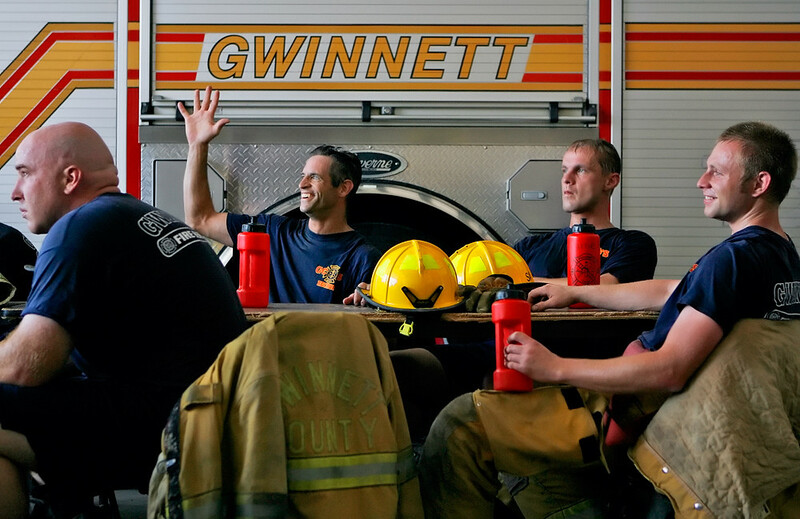 “‘We’re not window washers — we’re window glazers,'” one of the firefighters recalled them saying. I was downtown in the early afternoon, and not feeling too good about myself. Traffic on I-75/85 was heavier than I’d anticipated, and I was late to a last-minute assignment. No more than 10 minutes late, but I’d missed the important part. So as I was driving back up to the newsroom, I was beating myself over the head (figuratively). My only consolation? That it wasn’t a hugely important assignment. But I still wasn’t feeling too good about myself. Then my editor called and told me to turn around. © 2010 by The Atlanta Journal-Constitution. (Click on the image to read the relevant article on ajc.com.) 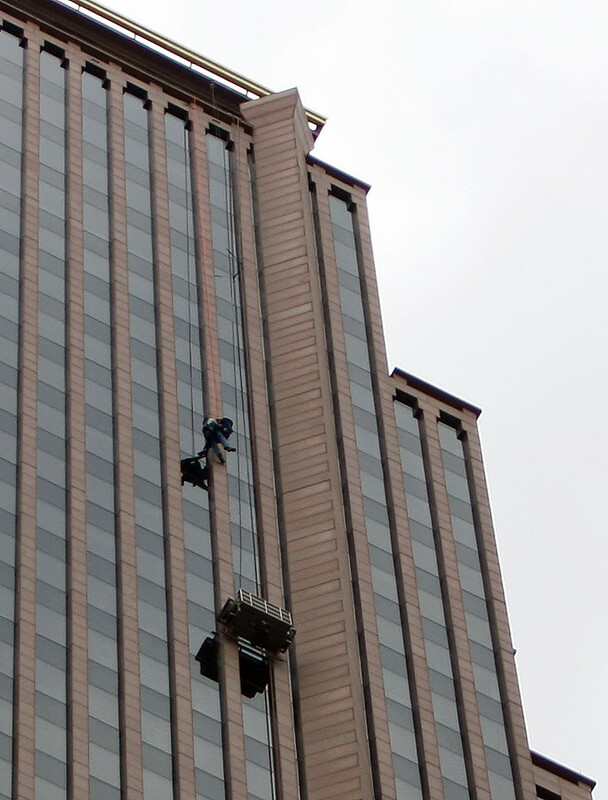 Firefighter Justin Hodges helps Atlanta Contract Glazing window-installer Paul Barker up to safety after Barker and his coworker William Miller were stranded outside the 47th floor of the Bank of America building for several hours on Monday, June 28, 2010. The Bank of America building is the tallest in Atlanta, for those who may not know. This was definitely one of the more fun assignments I’ve done this summer. I didn’t see another AJC person there, so I knew I had to do well in reporting. I haven’t done breaking news in quite a while, and I hadn’t done the reporting and photography for a breaking news story since an April 2007 homicide in Columbia. So it was really refreshing to have to get the visuals covered, as well as make sure I talked to all the right people. © 2010 by The Atlanta Journal-Constitution. (Click on the image to view the full photo gallery at ajc.com.) 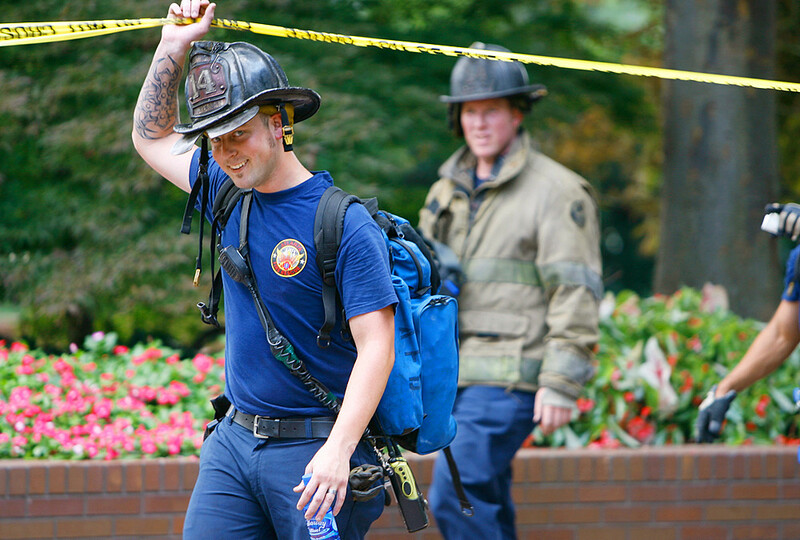 Firefighter Justin Hodges, of Company 14, exits the Bank of America building after assisting in the rescue of two window installers on Monday, June 28, 2010. Hodges was the firefighter who was harnessed to help the window installers attach their own harnesses and ascend the cables to safety. Afterward, I got in touch with the reporter who was in the newsroom, fed him all the quotes and facts I’d gathered — and got my first story byline! Once I filed the photos, it was off to yet another assignment. Some days, the news just doesn’t stop. Those are my favorite days. Last week, I went back to university. In which I was not enrolled. © 2010 by The Atlanta Journal-Constitution. (Click on the image to read the relevant article on ajc.com.) 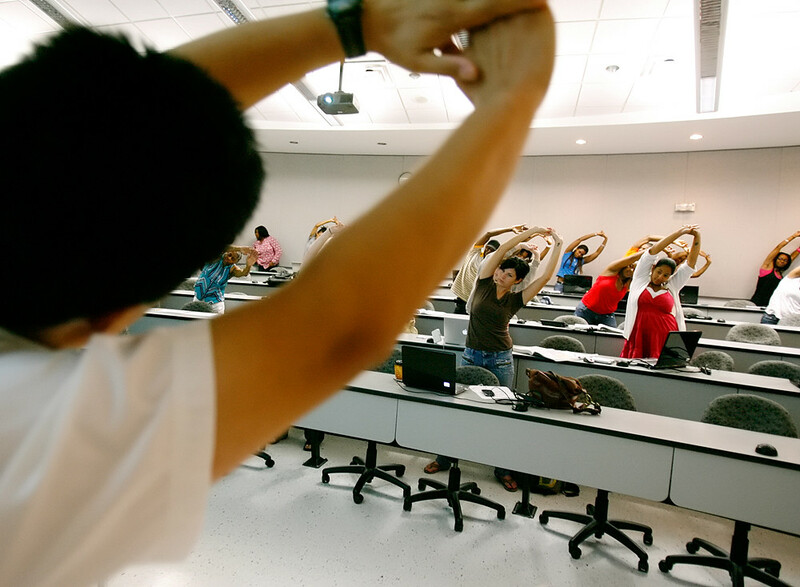 Biology professor Chris Kadoni leads his class in stretches between two hour-long, consecutive lectures on Thursday, June 24, 2010, at Clayton State University. "Education is more of a year-round proposition," said Clayton State PIO John Shiffert. Probably the cleanest (compositionally, that is) drag show photo I’ve ever taken. © 2010 by The Atlanta Journal-Constitution. (Click on the image to read the relevant article on ajc.com.) Chas Harrington stuffs his tip into drag queen Prissy Cilla's bust during her performance at the East Point Possums drag show on Saturday, June 19, 2010. 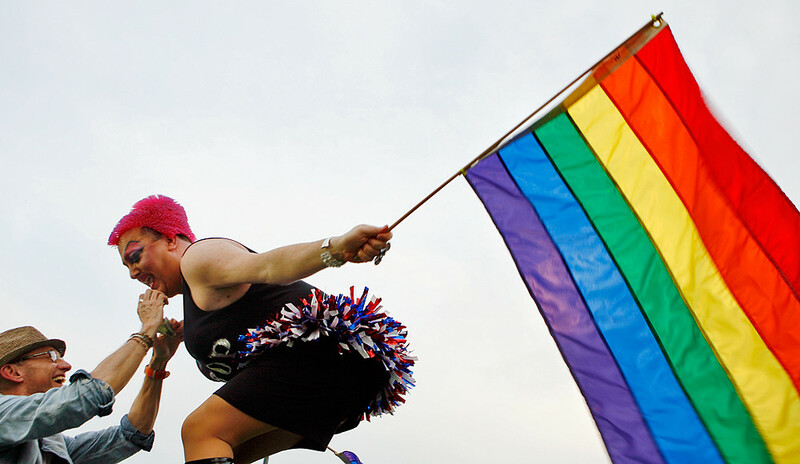 Although it has a reputation of financial struggles and political in-fighting, the city of East Point features gay-friendly city policy and business owners that have attracted many gay residents to the area. My one assignment yesterday? Photograph a solidarity vigil for Troy Davis outside the Georgia state capitol building, on the eve of his evidentiary hearing. © 2010 by The Atlanta-Journal Constitution. (Click on the image to view the entire photo gallery on ajc.com.) 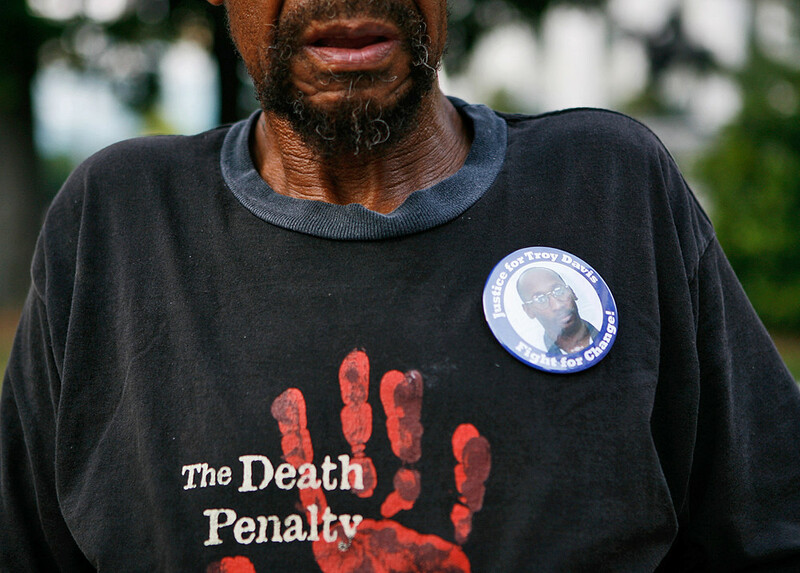 Ira Terrell wears a Troy Davis pin and an anti-death penalty shirt at a solidarity vigil for Davis on Tuesday, June 22, 2010, outside the Georgia state capitol building. 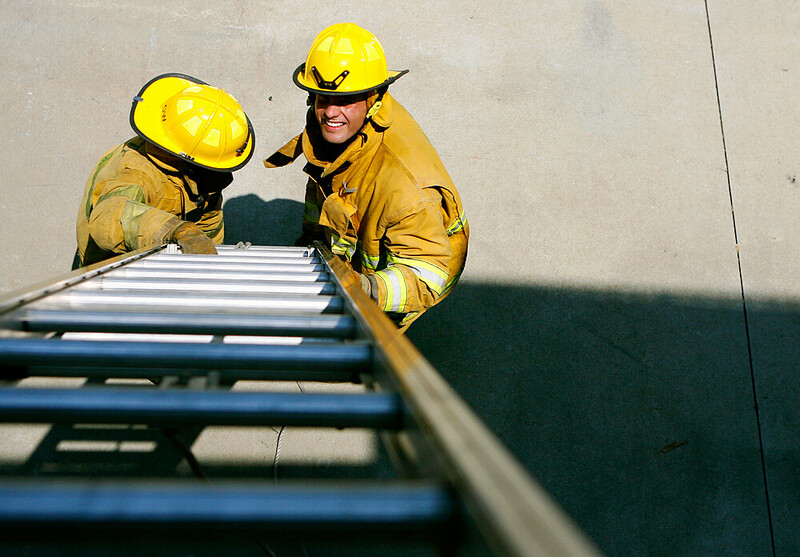 I’m well aware that many career paths and professions have glass ceilings. Journalism is no exception — and, as I learned last week, neither is the comic book industry. 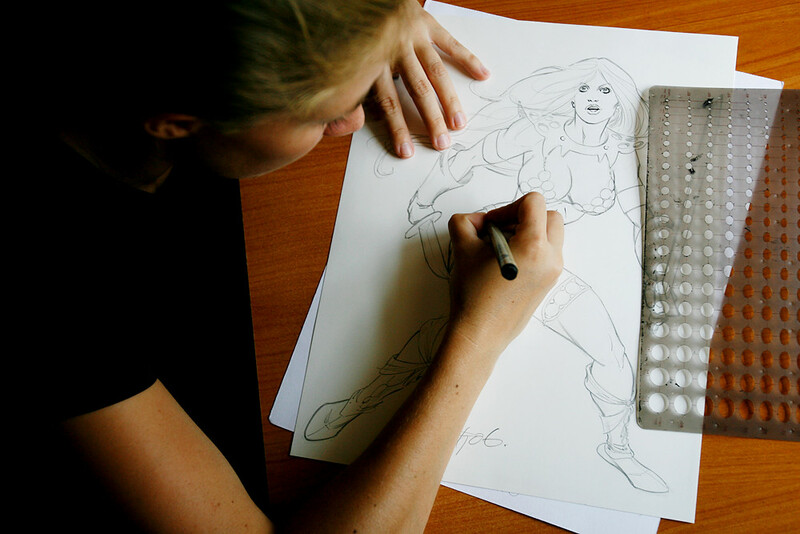 Last Tuesday, I photographed a comic book inker in her home studio. She told me that an average comic book page takes eight hours to ink. Which is just incredible. © 2010 by The Atlanta Journal-Constitution. (Click on the image to read the article on ajc.com.) Rebecca Buchman inks a piece of commissioned art on Tuesday, June 15, 2010, in her home studio. What’s better than a press conference? Skateboarding. On Monday morning, I photographed a press conference wherein the city of Dunwoody announced its formal takeover of the parks system, which was previously under the jurisdiction of DeKalb County. Pretty dry stuff. I did what I could with the press conference. But my editor asked me to find something more visually interesting to photograph in any of the parks, so later in the afternoon, I drove to four of the seven parks. Unfortunately, Monday was also the first day of summer and the temperature was soaring — so nobody was outside. © 2010 by The Atlanta Journal-Constitution. (Click on the image to read the article on ajc.com.) 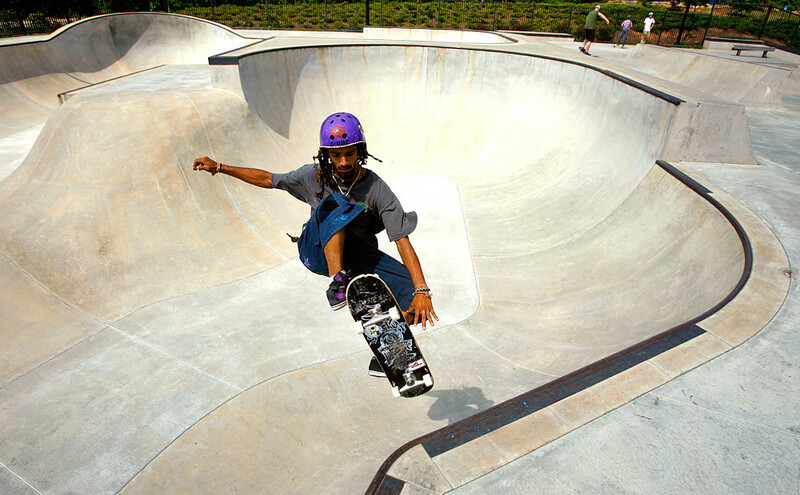 Fighting the heat on the first day of summer, Ross Lanning performs a few tricks at the Brook Run Skate Park on Monday, June 21, 2010. This photo didn’t make it on-line — but it did make the Metro front in Tuesday’s print edition. Every other photographer at The Atlanta Journal-Constitution wanted what was to be my second assignment there. But amid the jokes and offers to trade assignments, all the photographers and I knew the assignment would not be as glamorous as one might think. For one, the logistics were not ideal. The article would be about the supposed 100th anniversary of the bra, and the reporter specifically wanted a photo of a bra-fitting. She arranged for a local Dillard’s to let me stand around in the intimacy section and ask customers if they would be comfortable with my taking a photo of their bra-fitting session. This meant I hung around and waited for customers in Dillard’s for almost five hours. For another, I’d once read a column by a Victoria’s Secret hiring manager, who wrote that a man once came in asking for a job. He was still excited about filling out the application as she told him that male employees are not allowed in the dressing room area — but he crumpled up his application and walked out when she added that most customers resemble his mother rather than supermodels. Finally, access was key, and difficult to obtain. And of the seven or so women who meandered into the intimacy section that day, only one let me into the dressing room. © 2010 by The Atlanta Journal-Constitution. (Click on the image to read the June 18 article.) 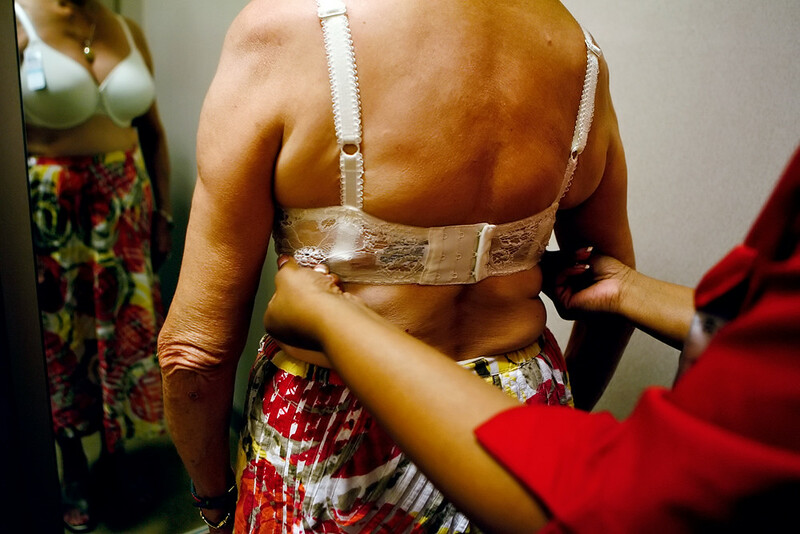 Dillard's bra-fitter Tresha Tinsley adjusts the band of a new bra for Virginia Albey (center) on Wednesday, June 9, 2010, in Dillard's in Perimeter Mall. And the paper ended up using another photo. UPDATE (June 21, 2 a.m. EST): Interestingly, ajc.com posted the same article again yesterday, but with a different headline — and with the above photo attached to the story, as well. Yesterday, Mexico defeated France 2-0 in a World Cup match. …And then accidentally ended up at a small Mexican restaurant. Where I crouched in a corner for the rest of the game, during which Mexico scored two goals against France. © 2010 by The Atlanta Journal-Constitution. Click on the image to read Mundo Hispánico's recap (in Spanish). My two assignments today were under the grueling sun and in the 100-degree heat. But hey — at least I got to go to the beach! © 2010 by The Atlanta Journal-Constitution. 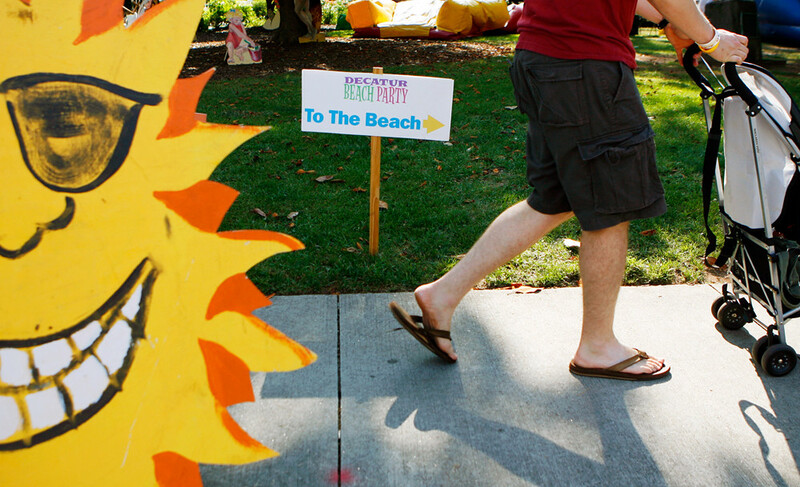 Click on the photo to view my full gallery of the Decatur Beach Party on ajc.com. Many photographers aren’t thrilled about event coverage, but I really don’t mind photographing events. That said, I was pleasantly surprised by how pleasant a book-signing was. 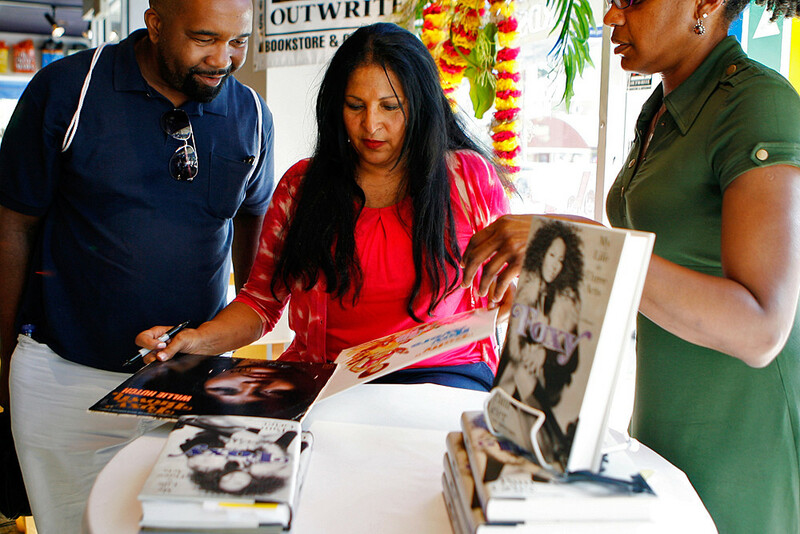 Kent, the assigning editor, sent me to photograph actress Pam Grier’s book-signing at Outwrite Bookstore on Wednesday. I didn’t know who Pam Grier was — I’d never seen her blaxpoitation movies nor “The L Word” — but she was certainly very friendly. And so were her fans. © 2010 by The Atlanta Journal Constitution. 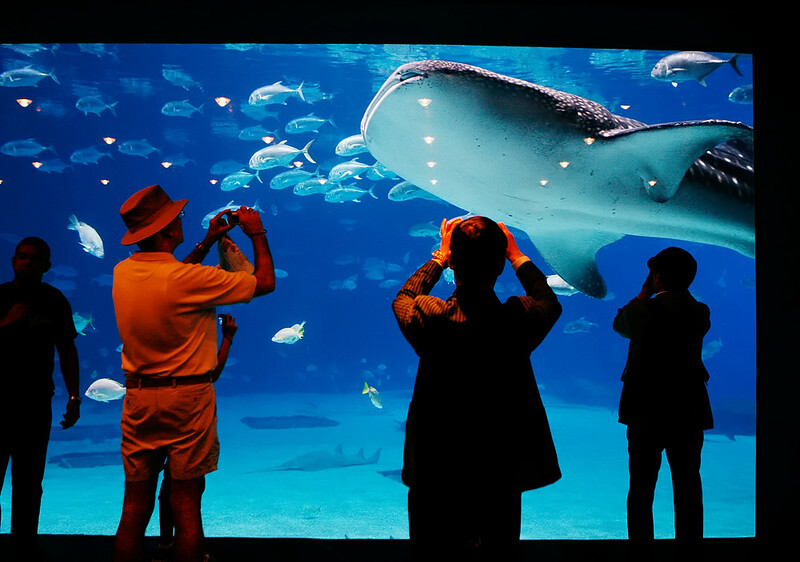 Click on the image to view the photo gallery on ajc.com. Something else to note: This assignment was not the first I remotely transmitted, but it was the first I remotely transmitted while in my car. On a separate note: Usually, I do try to blog photos as soon as I possibly can. 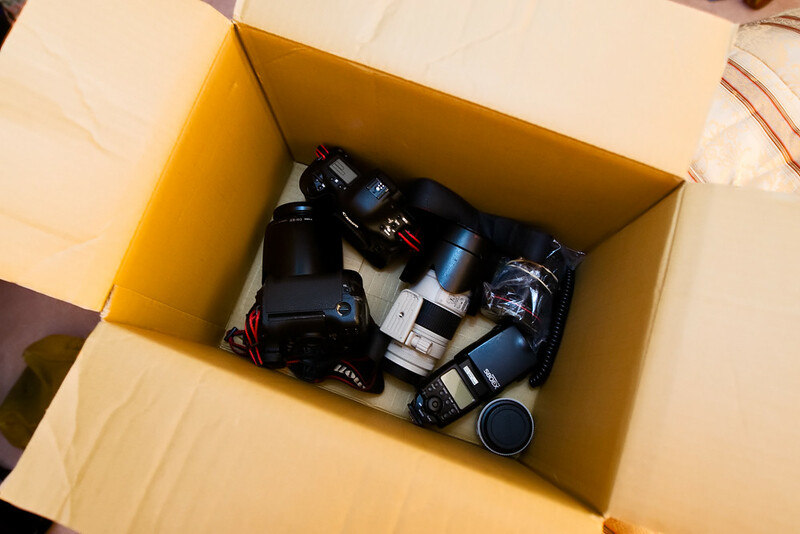 However, while I’m shooting for a newspaper and website, my personal policy is to blog photos only after they or the related story has been published by that newspaper/website. This is sometimes difficult to keep track of, especially since I’ve been shooting a lot more than I’ve been blogging. But rest assured, you’ll see those photos — in due time. Watch out – I’m in the majors now! 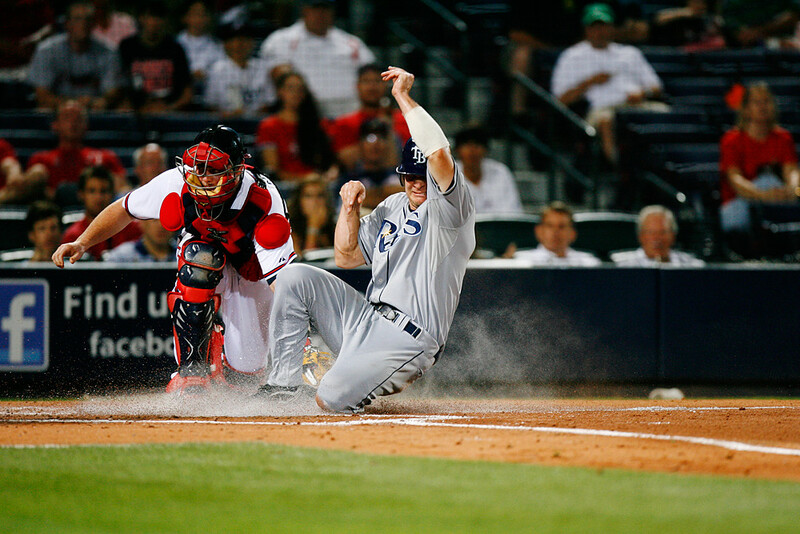 I shot my first major league baseball game on Tuesday night. Hell, I shot my first baseball game in two years on Tuesday night, too. So you can bet it was a little rough. That said, I didn’t shoot very much at all. When I arrived at Turner Field for the Braves’ first of three games against the Rays, I decided immediately to take this game as a “learning by observing” experience. While I did shoot some game action — and wandered the stadium during the 2.5-hour rain delay — I mostly shadowed Curtis, the AJC photographer who shoots most of the Braves games. © 2010 by The Atlanta Journal-Constitution. (This ran in print but not on-line.) 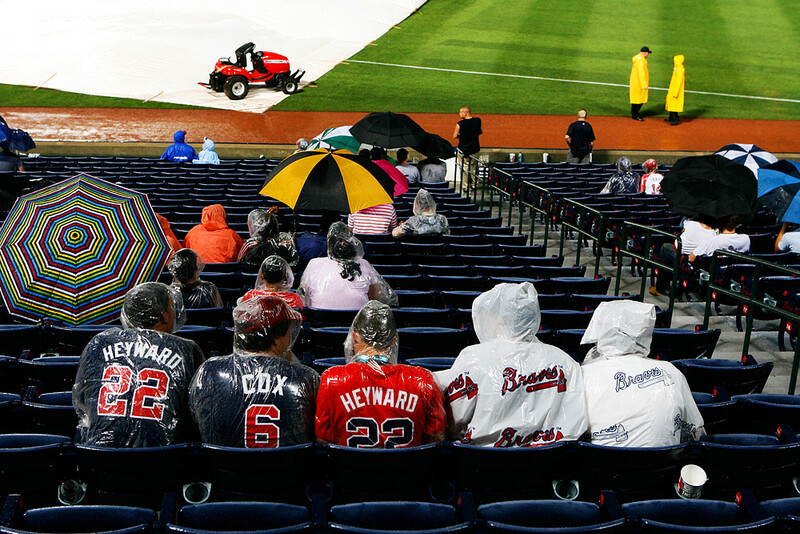 Recent Hillcrest High graduates Shane Thurston, Bray Clark, Brandon Burns, Kevin McKittrick and Perry Case wait out the rain delay at Turner Field before the Atlanta Braves began playing the Tampa Bay Rays. Curtis taught me a lot, both in what he said and in what he did. The Getty photographer (Kevin Cox) and Pouya Dianat were also really helpful. Next game I shoot — and I’ve been told I’ll be shooting plenty this summer — I’ll be making more pictures, and transmitting them live. It’s been a while since the last time I shot baseball, so I hope I can get my timing back! 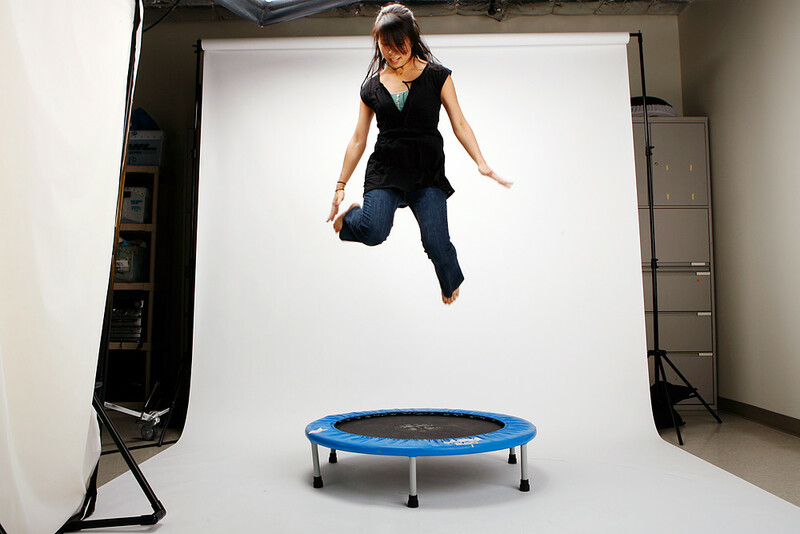 So, why was I modeling — and jumping — for myself in the studio last week? A seventh grade student at M.D. Roberts Middle School has been working on a project about foreclosures and the consequential issues that newly homeless kids face. She presented her award-winning project a school board meeting… and one of the AJC reporters opted to profile her. So I snapped a few quick shots of Darrielle McCray in the studio after the reporter interviewed her. 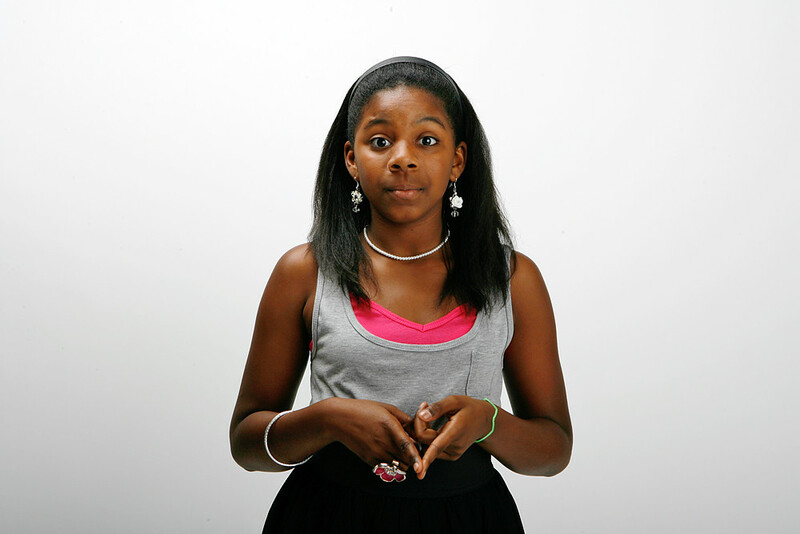 Click on the image to read the ajc.com article about rising seventh grade student Darrielle McCray. © 2010 by The Atlanta Journal Constitution. And that is why I jumped. This past weekend, I fled the heat and grime of Atlanta and spent almost three days in the heat and grime of Tennessee. There, my sun roasted in the sun, my hair practically oozed with slick oil and my toes became dirt magnets — all in the name of music. 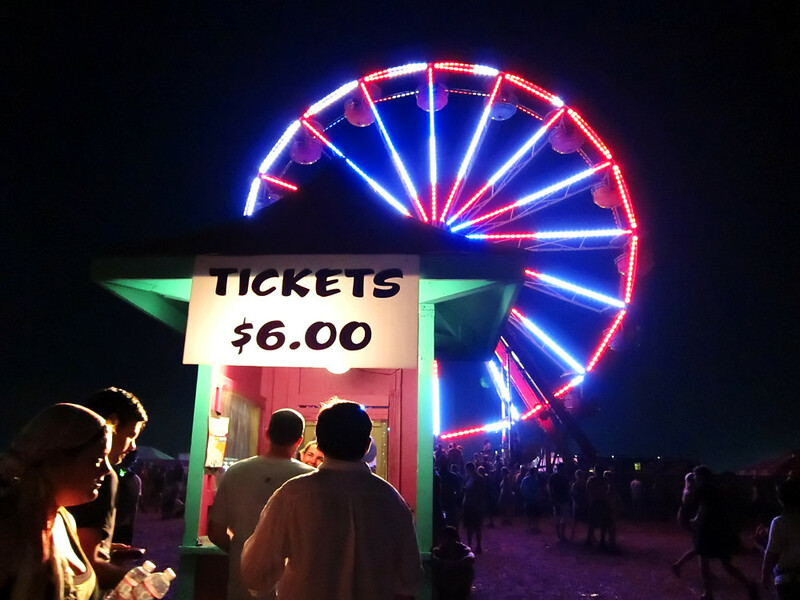 It’s this thing called Bonnaroo. But Jeff and I hardly took photos. We ate copious amounts of festival food, ran into a few other friends from Missouri and — of course — went to quite a few good concerts. Like Stevie Wonder. And The Avett Brothers. And She and Him. I did take this photo, though. Can you believe it? Three revolutions on the Ferris wheel cost $6 per person. But we rode it anyway. And that’s really about it. I’m just glad I was able to scrub all the dirt, sweat and sunblock out of my skin. Today, I went downstairs to the Atlanta-Journal Constitution‘s photo studio to set up the lights and make sure everything would work smoothly for a shoot this afternoon. The assigning editor, Kent, walked me down to the studio because I don’t have a key (yet). Once I was in there by myself, I realized a pretty hefty problem: I didn’t have a model for testing the lights. So I set the camera on self-timer, set it up on a stool (couldn’t find a tripod) and modeled. For myself. Rita Reed would not be proud. This is before I remembered to set my shutter speed to 1/250 so it would sync correctly. Then I decided that if I was going to be in the studio by myself and modeling for myself, I might as well have fun. So I pulled out a trampoline I found earlier, and… well, you know. Anyone who knows me knows I love jumping, and jumping photos. Today, five other interns and I began our summer gigs at The Atlanta Journal-Constitution. 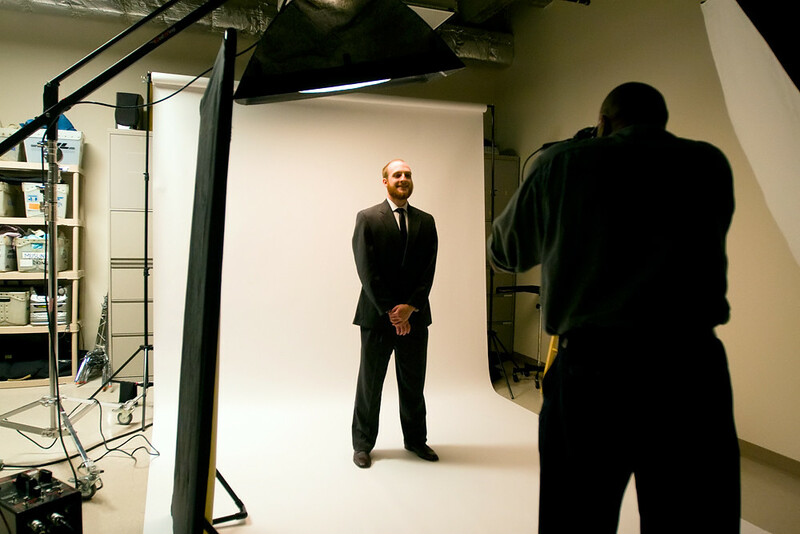 Copy-editing intern and fellow Mizzou alum Bill Powell gets his mugshot taken in the AJC's photo studio. We had a bit of a rough start (read this and this), but despite that, I think our first day went pretty well. Everyone was nice and friendly, and it definitely sounds like we’ll be treated like regular staff. Tomorrow, I’ll tag along with another photographer and finish up some other training. Also tomorrow, there’s some social media training. I’m sure I’ll learn much more about what and when I can’t/shouldn’t blog or tweet. The newspaper is pretty social media-savvy — its web site has a long page with links to its various Twitter and Facebook accounts — and it sounds like I can blog or tweet fairly freely as long as I don’t reveal proprietary company information or post political/partisan materials. But we’ll see. In the meantime, I’ll play it safe and stop here. Whether I’m driving or hiking, I always try to avoid taking the same route on the return leg of the trip. I’d like to chalk this up to my love of exploration, but this might also have something to do with my need for a change in scenery. We’d driven through the Oklahoma panhandle en route to Santa Fe — so, on our way back to Missouri, we went through the Texas panhandle instead. 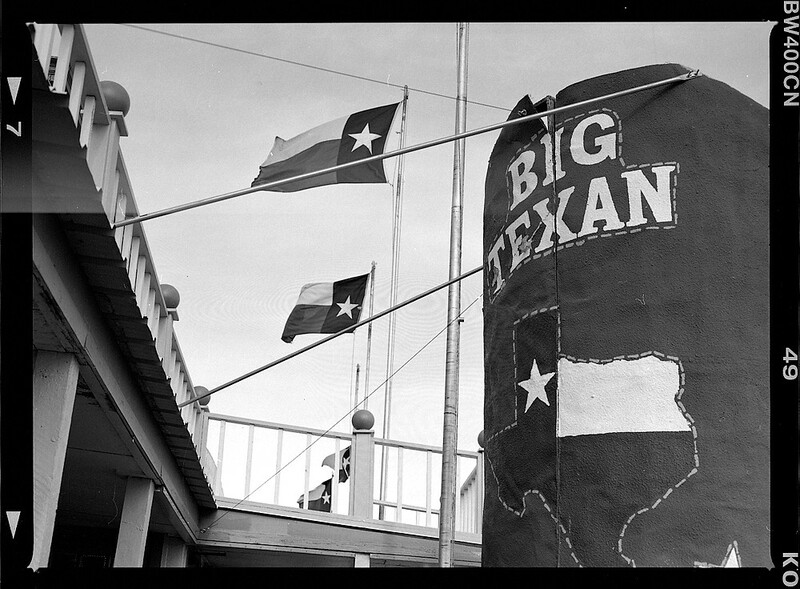 And ate at The Big Texan. Again. And in a few hours, we were leaving Texas. Check out a few more photos I didn’t blog here! 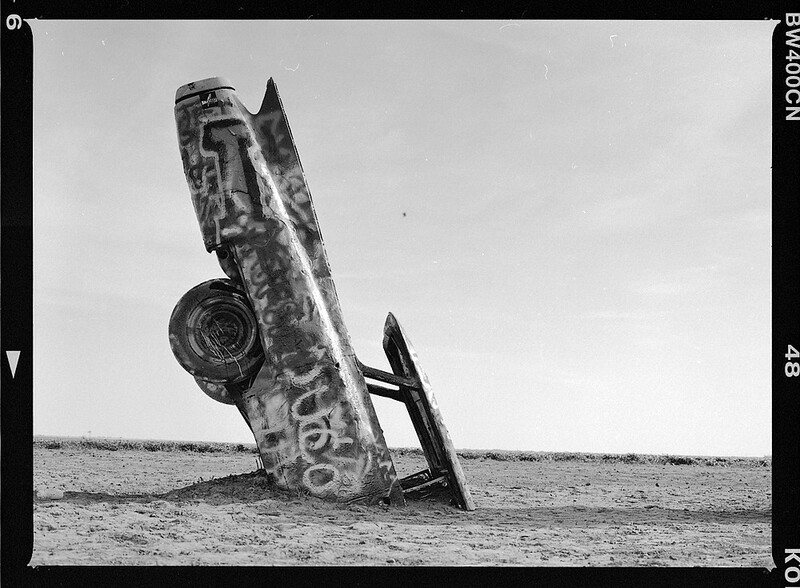 I figure I oughta blog the remaining film from Santa Fe/etc. before I head off to Atlanta for the summer. So, here we go again! 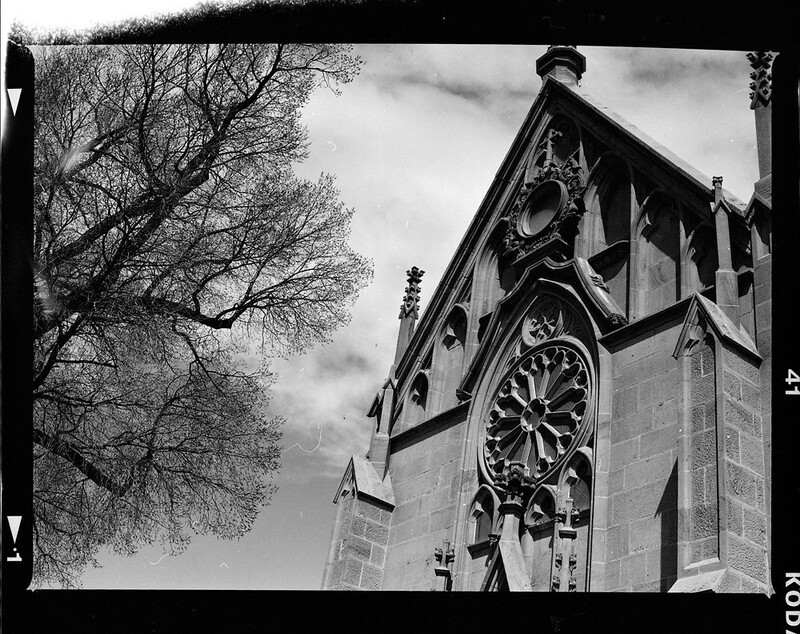 The Loretto Chapel. 120mm, BW400CN. Known for its “miraculous staircase,” the Loretto Chapel is now a popular wedding destination with pricey packages. After visiting with the Santa Fe New Mexican director of photography (who is a former NPPA president! 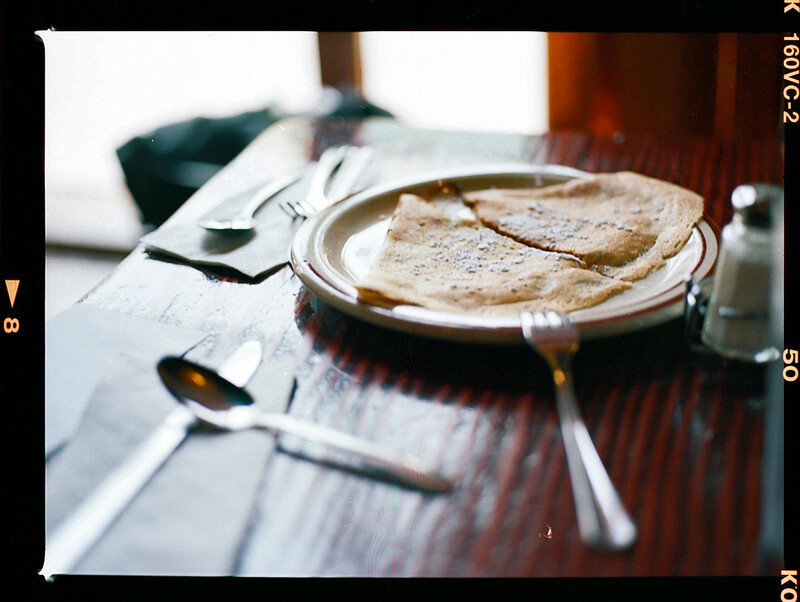 ), we had crepes downtown. Nutella crepe. 120mm, Portra 160VC.